One day after the explosion of a car with explosive in Vlora, where the owner of a quarry is wounded, the latter is being sent to Tirana for specialised medical treatement. The serious event occurred at 16:15 pm near a gas station at the entrance to the city. 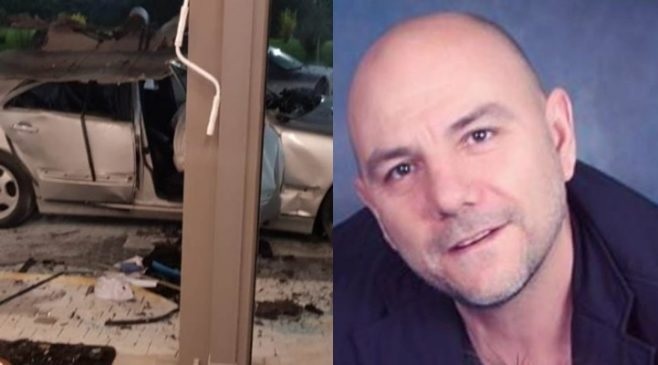 As reported yesterday, Agron Alushaj suffered major injuries to the limbs while the 48-year-old was transported by his family members with a private ambulance to Tirana for a more specialized treatment. Oculus News sources say from the Trauma Hospita that Alushaj is undergoing an operation. Based on the doctors' testimony, he is out of danger for life, but risks his limbs. The 48-year-old is the owner of a quarry in Selenica and recently got involved in the construction business by building several palaces in Vlora. Meanwhile, police are investigating in some tracks about the assassination in question. The tragedy happened yesterday at the entrance of the city of Vlora, in a gas station, while the target was a Benz-type vehicle with AA 703NG license plates, owned by Alushaj. The latter was taking his vehicle out of the car wash at the moment of the explosion, the vehicle moved only 5 meters away at the moment of the explosion. Sources from Vlora police suggest the explosive substances are suspected of being inside the vehicle, exactly in the driver's seat, based on the damage of the vehicle. Alushaj suffered serious injuries in the body, and rumors say he lost his two limbs.